NEW YORK—Nearly everyone appreciates some genre in the fine and decorative arts, but owning art can feel so out of reach. Bidders’ highly publicized auction house acrobatics over multi-million dollar pieces don’t make the art market seem any more accessible. Many are discouraged from buying art simply because they believe they are priced out of the market—they figure everything of value has already been assigned a hefty price tag. Carter Cleveland, CEO of online fine art marketplace Art.sy, estimates that for every household that buys fine art in the United States, 37 households with the same average income do not, according to a 2011 post by Hyperallergic editor in chief Hrag Vartanian. The reason most people don’t buy art, Cleveland believes, is because they live too far from galleries. Yet there is more at work than mere proximity. University lecturer, gallery owner, and former publisher Barbara Dougherty found that even people who spend most of their time working in the art industry don’t trust art auctions. Furthermore, they aren’t likely to take action to change the situation—they don’t see themselves as stakeholders. “They tend to think that being a stakeholder means having to have responsibility for that field,” Dougherty said in a phone interview. As part of her doctoral dissertation, she surveyed 6,308 individuals in 2013 and 2014 who identified themselves with any of 22 categories, from artist, art handler, art historian, educator, to someone who simply enjoys art museums. The survey asked respondents to rate their agreement or disagreement with 52 statements about their perceptions of art auctions and the impact of art sales in their lives. The results surprised Dougherty—everyone seemed to acknowledge there is distrust of current auction house practices, but they also felt ambivalent about proposed regulations and consumer protections. “It would be like limiting how much you could spend or win at a casino,” Dougherty said. Right now, major art market players—auction houses, dealers, and museums—seem to enjoy the lax environment. Auctioneers call out “chandelier bids”—pointing to the lights as if someone had raised a paddle in the hope to drive momentum. Third-party guarantors with vested interest in a certain lot’s selling price can promise the auction house that the item will fetch a certain amount. In galleries, dealers keep their price lists in their heads and hardly ever post them. Museums would rather exhibit an artist with an auction track record over one who does not. The fact that the work has shown at a museum, in turn, ups its value should that work be deaccessioned and put on the block. Furthermore, as Village Voice writer Christian Vivero-Fauné discovered, at least one public relations company has no qualms admitting, even bragging, that their client uses his charitable foundation to increase the value of artists in his collection. These market manipulating practices drive up the dollar value of items that pass through doors wherever art is sold. Consumer action is unlikely to bring about regulation changes, though. Lobbying takes money and self-organization—things companies can afford, but the average consumer cannot. If a customer believes he was harmed by unfair bidding or appraisal practices, he can go to court. But the most he can win are reparations for his individual grievance, but rarely, if ever, regulation change for the industry. Though the art market is increasingly used as a financial market, it has none of the consumer protections akin to what the Securities Exchange Commission has in place. Dougherty worries that the art market will become the next bubble. She suggests that the solution to this conundrum can be found in the European model of patronage. In Europe, it’s quite common to find that buyers and makers of art know each other on a personal level. If the auction houses make buying art impersonal and impractical, befriend an artist and create real relationships free from the runaway world of bidders and price fixers. Patronage could work for contemporary art, but doesn’t solve the problem for the antiques market. For that, we must look to the lawmakers. Of all respondents, 98.3 percent said they own original art and 58.6 percent create art themselves. The overwhelming majority indicated that they care about art that is bought and sold; about art that gets put in the museums and exhibitions; and about art education. Nearly 80 percent of them agree that their futures depend on the success of the art marketplace, yet only 31 percent answered in the affirmative when asked whether they considered themselves a stakeholders in the art auction marketplace; 51.7 percent did not consider themselves stakeholders. The survey highlighted conflicting answers about the trustworthiness of auctions. When asked whether they agreed with the statement that art auctions are trustworthy, 32 percent agreed; 36 percent neither agreed nor disagreed; and 32 percent disagreed. 82.8 percent strongly or partially agree that what happens in art auctions affects the entire marketplace, but only 46.2 percent strongly or partially agree that what happens at art auctions affects their lives. 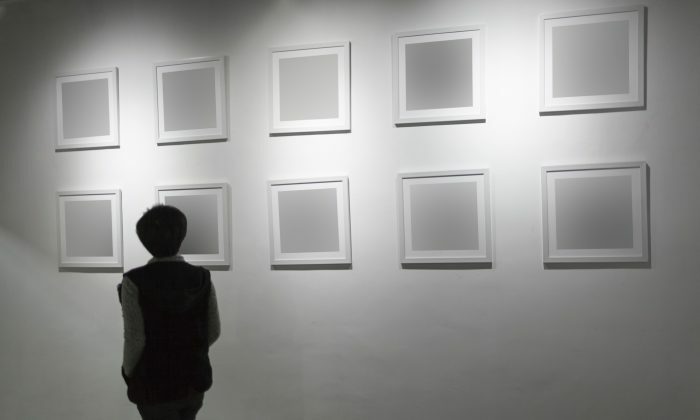 91.4 percent agree that art is often bought as an investment, but 53.4 percent disagree that art sales should be regulated by the government like stocks and bonds are regulated. 20.7 percent believe they should, and about a quarter are undecided in the matter.